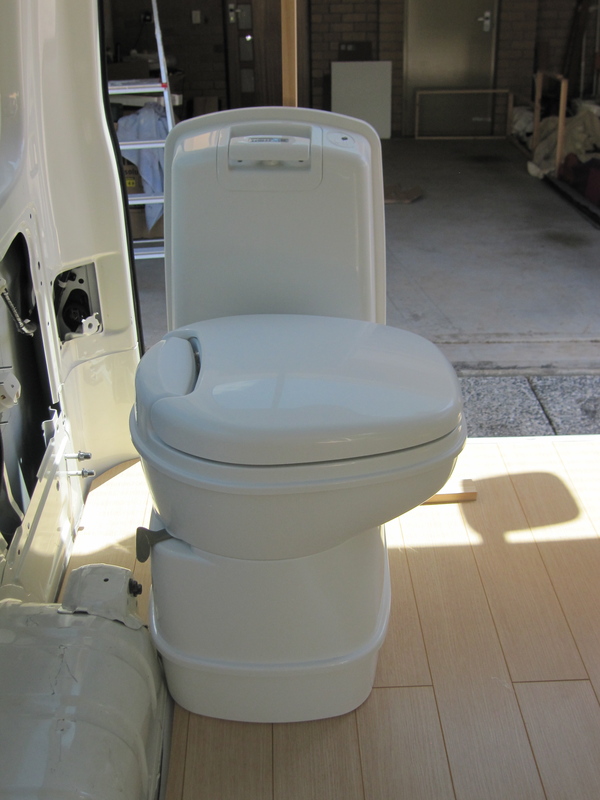 This is the (slightly disconcerting) description of our campervan toilet. I have been assured, though, that the rear is actually the best place for an entry point, and just refers to how you access the waste tank. Phew. 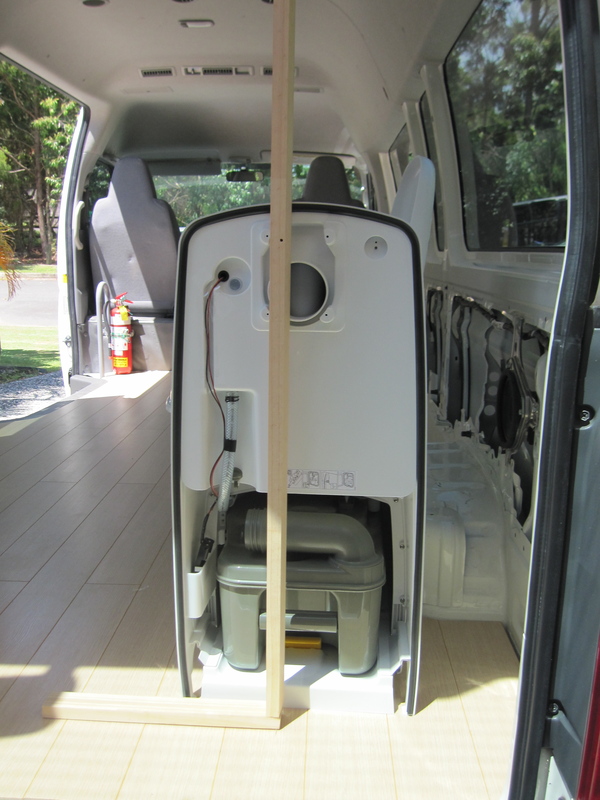 And the swivel aspect means we can position the toilet with the rear facing towards the back door (for optimum cassette removal), but swivel the seat round so we don’t have to sit facing the wall. As the photos below probably do a better job of explaining. The toilet is freestanding at the moment, but will be secured to the wall that separates the bathroom from the kitchen. Paul bought the bathroom cabinet and basin from Bunnings, and just had to saw 10cm off the bottom of the cupboard, and cut around the wheel arch and a couple of other protruding objects. I say ‘just’ – this was in 35 degree heat yesterday. 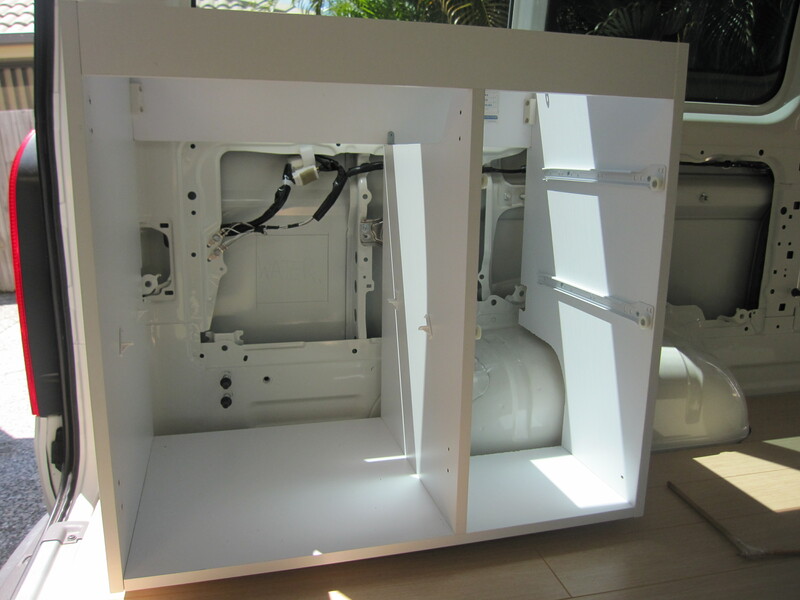 The cabinet still needs to be bolted onto the floor, but we need to fit the waste-water tank underneath the basin first. The next job is to fit the dividing walls, so we can start fixing things into place. Having tried out almost every conceivable colour for the walls, I think they’re going to be white. 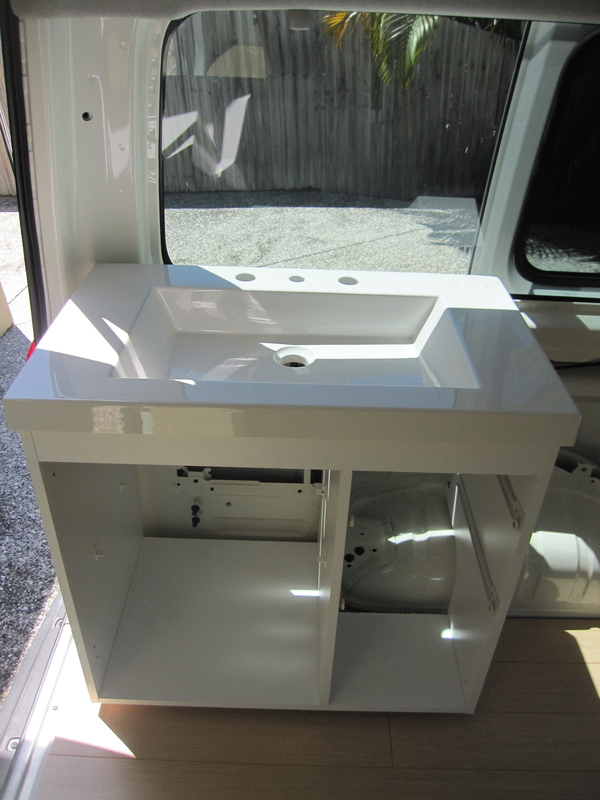 This entry was posted in Building a diy campervan, Camper supplies, Campervan plumbing and bathroom and tagged campervan bathroom, Campervan conversion project, Campervan photos, Campervan supplies, Converting a campervan step-by-step, DIY campervan by Rach. Bookmark the permalink. The project is beginning to take shape and I’m glad to see that you’ve started with the most important part of camping! Great work and we can’t wait to see the finished product. Is Paul still going to write a book about how to fit our a camper van? Remember – never take the casette out, while someone is sitting on the dunny!! Yep – we thought we’d start at the bottom and work our way up (groan). Thanks for your comments guys. Rich – paul’s literary career is on hold at the moment, he’s concentrating on building stuff. You could paint it white. OR… you could paint it magnolia and turn completely into your Mother. It’s a tough one. 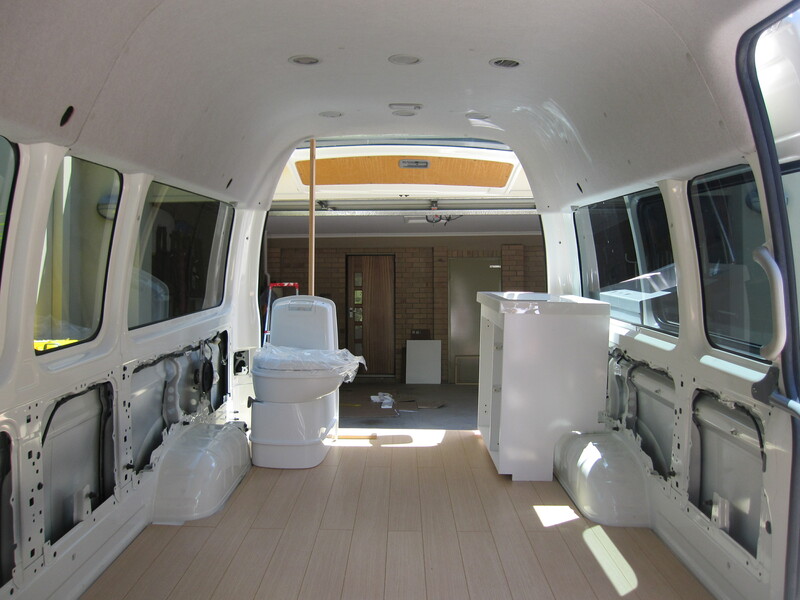 What make of van did you use? It’s a Toyota Hiace Commuter van SLWB.